Why not book a ticket to your favorite destination? 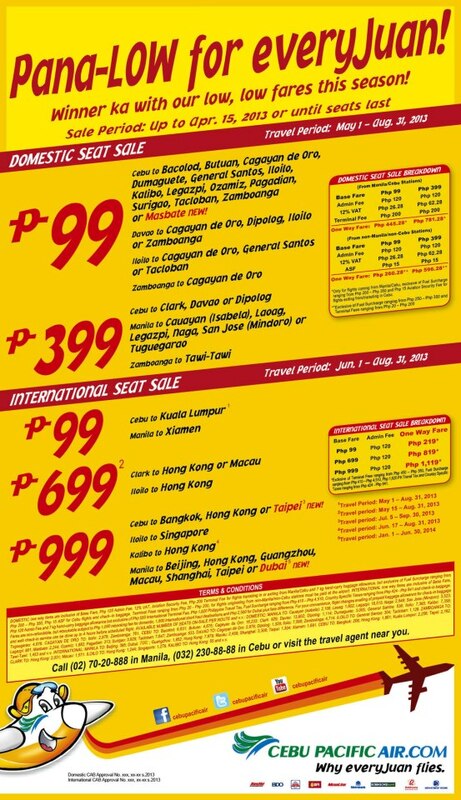 Hurry, go to www.cebupacificair.com now because our latest seat sale is now on! Winner ka with our low, low fares this season! Don't forget to read our terms and conditions! See you onboard soon!